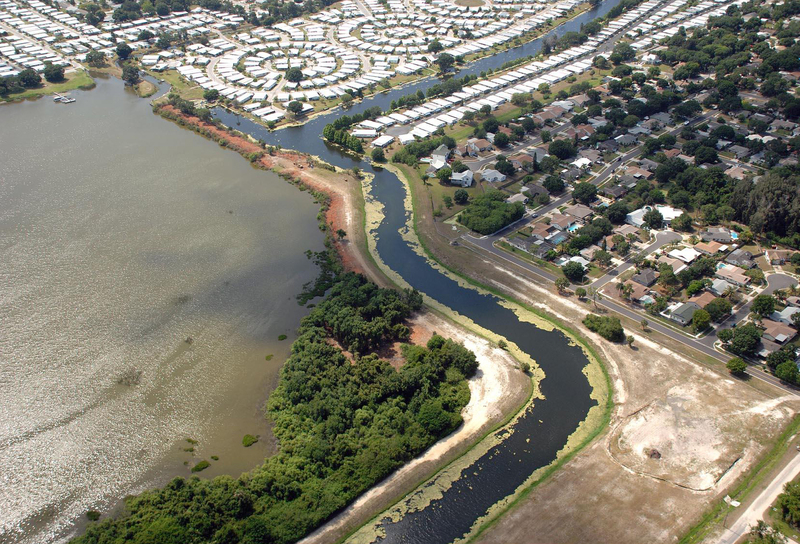 During June 2004 Environmental Research & Design, Inc. (ERD) was selected by Pinellas County to perform a feasibility study and engineering design for an off-line alum stormwater treatment system to treat water transfers from the Bypass Canal to Lake Seminole. 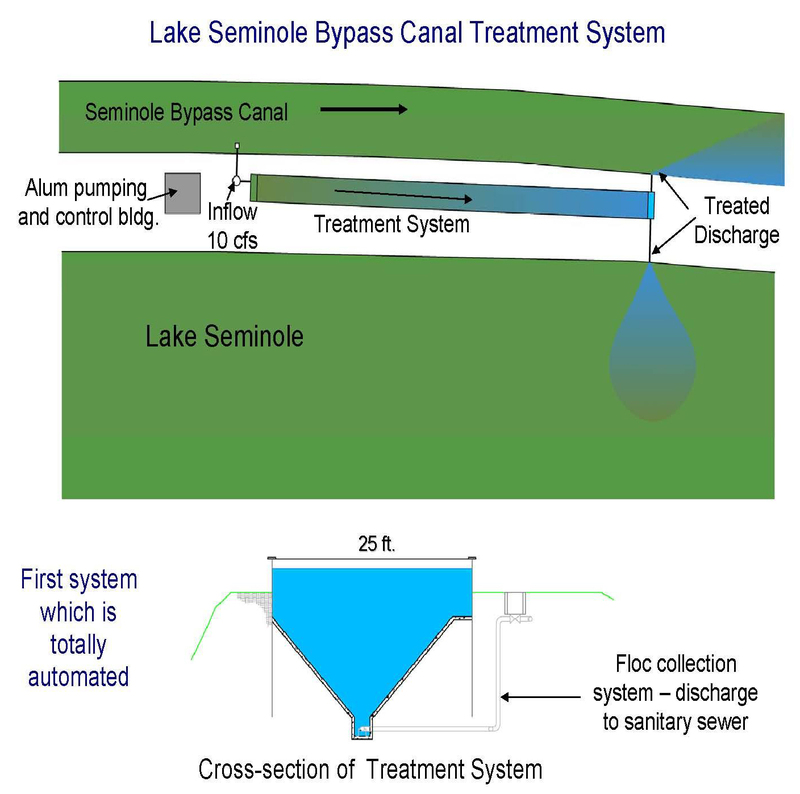 The treated inflow will improve flushing in Lake Seminole and provide a supply of clean water to the lake. 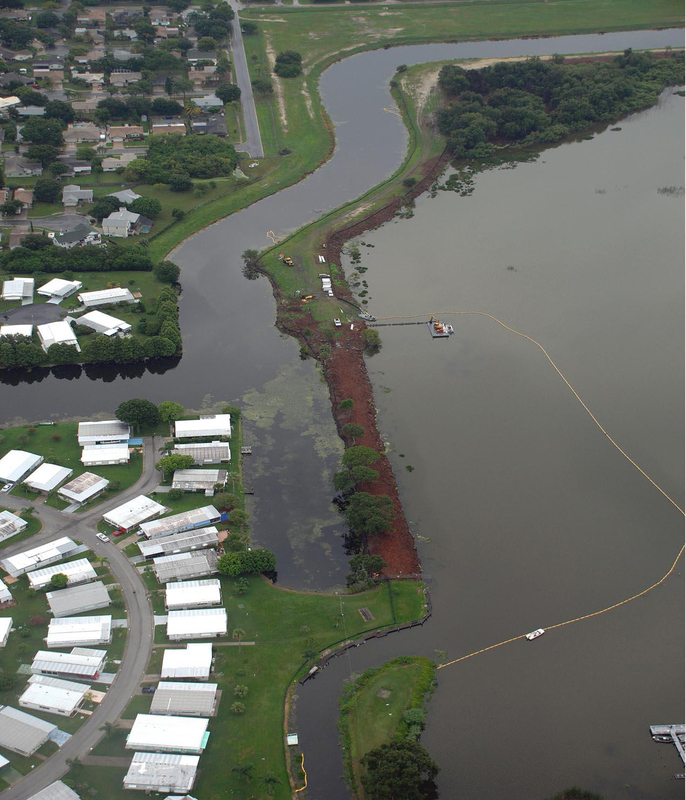 Water is removed from the Bypass Canal at a constant rate of 10 cfs, treated with alum, and released into Lake Seminole. The floc is collected in a 600 ft long trough with an automatic floc removal system which discharges accumulated floc into the sanitary sewer on a daily basis. The collected canal samples were evaluated in a series of laboratory jar tests to determine the optimum alum treatment dose and evaluate settling characteristics. The laboratory testing indicated that the alum treatment would significantly reduce effluent concentrations of nitrogen, phosphorus, and TSS. Floc collection is provided in an off-line linear trough. During the Final Design Phase, ERD prepared construction drawings, contract documents, technical specifications, and opinions of cost for the chemical treatment system. ERD was also responsible for obtaining permits from FDEP for construction of the project. ERD prepared and submitted 100% construction documents, including construction drawings, contract documents, technical specifications, and an opinion of cost. ERD also performed system operation and training and provided oversight for post treatment water quality monitoring.